At Beneficial State Bank, we try to keep our own and our multiple stakeholders’ values at the core of everything we do. Pertinent specifically to the crying need for gun safety in this country, from our origins, we have not made loans to the makers of automatic weapons. We are currently codifying our policies to match our longstanding philosophy and practices, stipulating that at minimum, we will not provide loans to entities that make or sell any automatic weapons or accessories that enable rapid-fire capability, nor to entities who sell firearms to individuals that are under 21 or have not passed a universal background check. When it comes to vendors, we will screen to select those not involved in supporting the weapons sales described above or, if the options are few or our bargaining power is weak, we nonetheless use whatever influence we have to change the vendors’ policy and practice on gun safety and other critical issues of the day. In the case of VISA, they and MasterCard have so far been the only electronic payments companies who can facilitate our credit cards, and so we have only our bargaining power, slim as it is, to fall back on. With regard to the Green America Card which we used to support as the marketing bank in partnership with TCM, as of August 2017, Beneficial State Bank and TCM Bank, NA mutually agreed to end their affinity agreement to offer the Green America credit card. 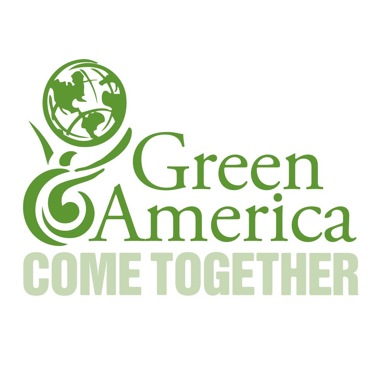 TCM Bank, NA solely offers the Green America credit card at this time. Nevertheless, as a principal member of VISA, Beneficial State Bank, while compelled to adhere to VISA rules, will communicate your concerns to VISA as well as Beneficial State Bank’s support of your position. Thank you for your concern and action.